The Russian Academy of Sciences (RAS) was established in 1724 by the emperor Peter I. 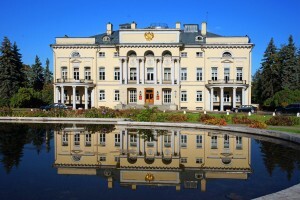 According to the Charter of the Academy, newly adopted in 2014, it is the national academy of sciences, a scientific organisation, which carries out the scientific management of scientific research in the Russian Federation and carries out scientific research, a legal body – a non-profit organisation, created in the form of a federal state budgetary scientific institution. At present the President of RAS is Academician V.E. Fortov. RAS is one of the leading research organisations in the world and the largest centre for fundamental research in Russia. With the use of government funding, the scientific institutions of the academic system carry out fundamental and applied scientific research in the areas of natural, technical, humanitarian and social sciences. At present the Academy’s membership includes 948 Academicians and 1206 Corresponding Members. RAS is actively fulfilling the task of modernising the Russian economy. Extensive programs are being carried out on the development of medicine, nanotechnologies, biotechnologies, IT, robotics, energetics, aviation and space. Its three centuries of contribution to the technological, economic, social and cultural development of the country, have, justly, given RAS the right to be called a strategic factor in social and national development. The Academy provides a national competitive advantage, and is truly a symbol of Russia.